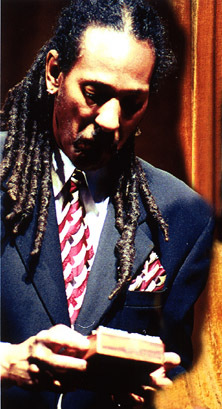 Winters answers questions during a workshop at San Jose State University. He also gives private lessons. 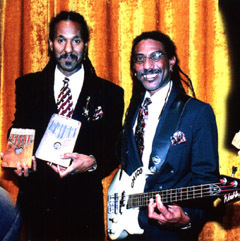 Winters and cousin, bassist Chico Griffin after a performance at San Antonio College. 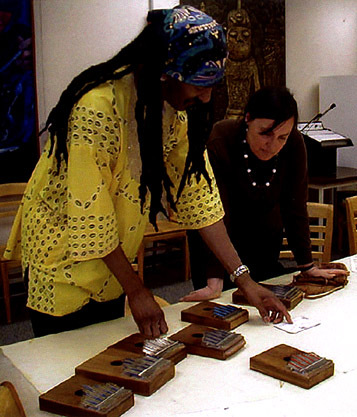 Traditionally, the kalimba is often used to call upon the ancestors in parts of Africa. 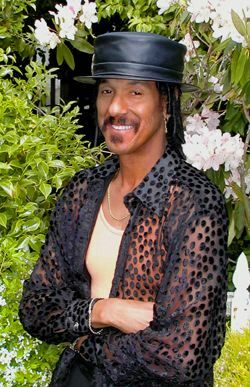 This feeling also overwhelms Winters as he plays from the genres of gospel, blues, jazz, r&b, pop, childrens songs and original songs. 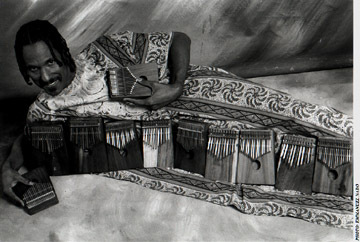 Winters posing with some of his many kalimbas. 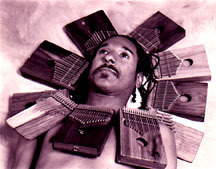 At last count his kalimba collection totaled 23.